These aren’t recent stitchings but I’ve just recently rediscovered them! 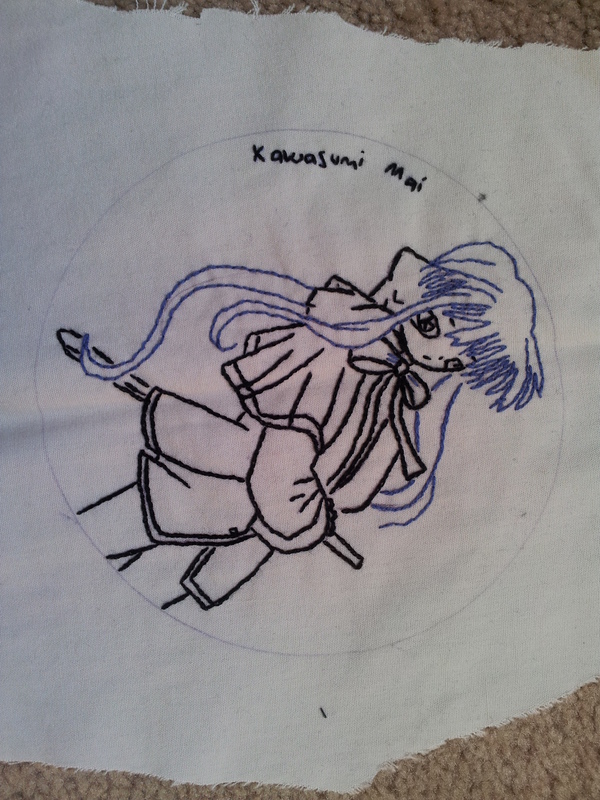 So I wanted to ‘draw’ an outline picture and after some googling I thought chain stitch looked the best to go for. I then tried to make something of this new found skill! At the time I was very into an anime series, Kanon! I think my aim was to make a full set, but they ended up hiding in my boxes of UFOs. They’re stitched with unbranded thread on a pair of old trousers 🙂 My big mistake (as I know now) is outlining in pencil. I have learnt from my mistake. If they look a bit tatty it’s because they’re been shoved at the bottom of a box for 2 years or so! For Makoto I did her hair in 2 strands, and everything else in 1 strand, to mix up the texture a bit. 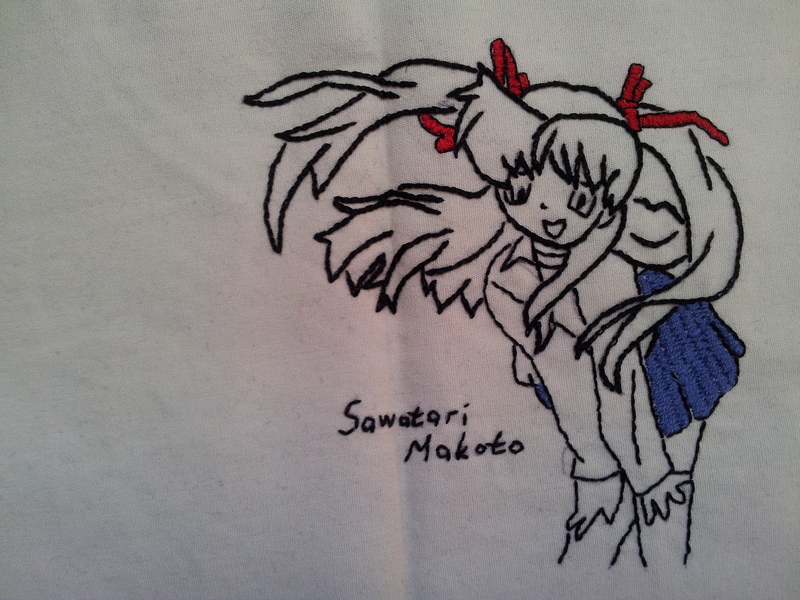 I picked out the colour of her skirt and ribbons by filling them in. Mai doesn’t have a lot in the way of colour, so instead of filling in I decided to draw her hair using blue thread (because she has blue hair, duh). I never considered myself an artist so I’m actually quite proud of these. The hardest bit for me was drawing the outline of the figure in the first place! Having learnt not to use pencil I bought a water soluble pen from Hobbycraft. This is brilliant – not just for outlining embroidery but it helps keep me from making mistakes in cross stitch patterns! 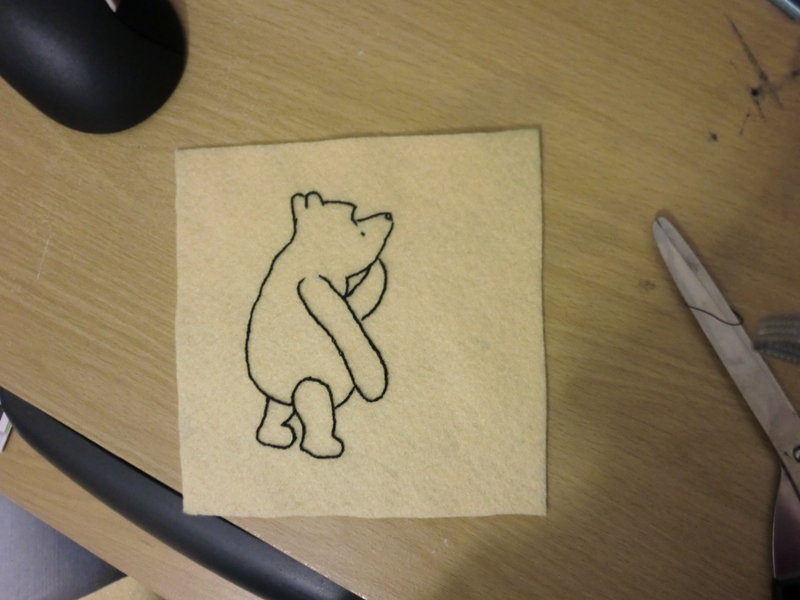 This is an old fashioned Winnie the Pooh on felt. I thought he turned out pretty well! Practice really does help you improve! Maybe I’ll find some orange felt and do Tigger? New phone needs a new cover, right? 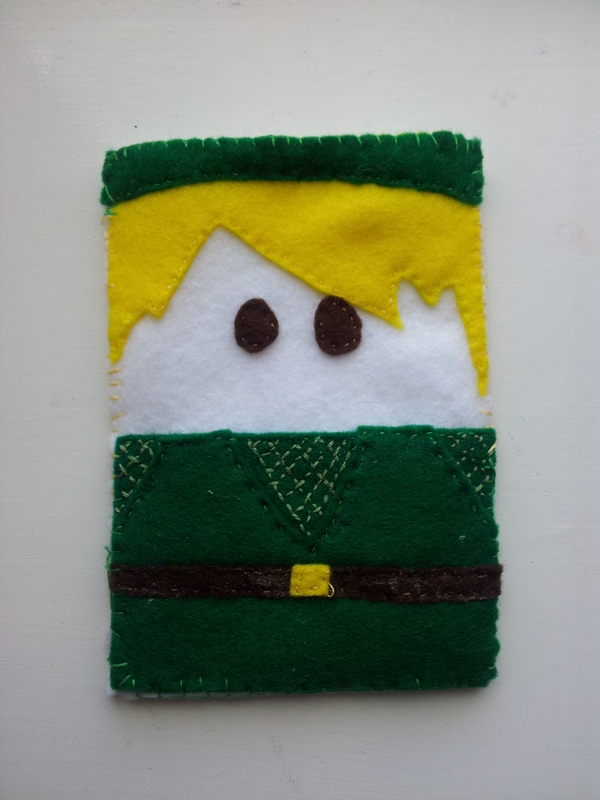 I’ve been playing a LOT of Skyward Sword recently, so I’m honouring my phone with my Link passion 🙂 I’ve also had a pack of felt sat by my desk just crying out to be made into something useful. I found the original design on flikr somewhere, so if you know who ‘owns’ the idea please tell me! 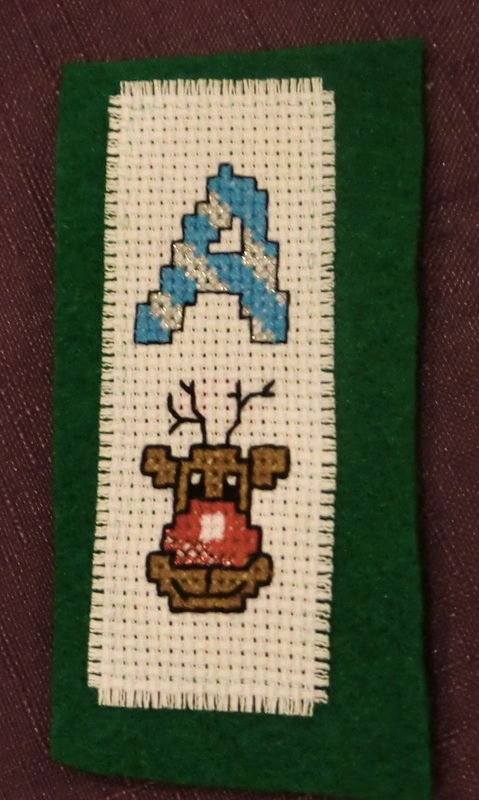 Over the past couple of weeks I’ve been making stocking tags for the kids in the family. Here’s 2 of them, there’s a ‘J’ on the way too! They’re really quick and easy, and give your present that extra special touch!